Most Christians recognize the importance of Christ’s death and resurrection. But how many understand the theological significance of Jesus’ actions before and after the crucifixion—from even before creation? In Dr. R.C. 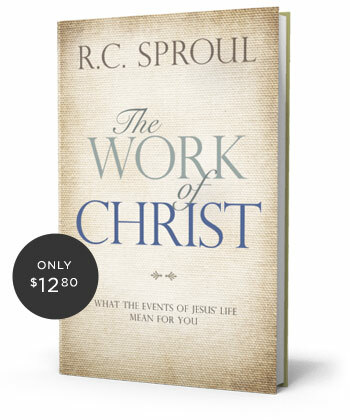 Sproul’s latest book, The Work of Christ, he gives readers a deeper understanding of God’s purpose in every event of Christ’s life. Buy it for $20.00 $12.80 from the Ligonier Store.